Ford versus Holden was a popular debate even before the first Armstrong 500 was run at Phillip Island in 1960 but more surprising is the disagreements – even the hostilities – which lurk within these two camps. Many Commodore owners would obviously rather have a Chevy, judging by the bowtie logos their cars wear, but ask Ford enthusiasts whether they prefer a Windsor or a Cleveland and things can get nasty. The fact that Australia’s second most iconic car (after the 48-215 Holden), the GT-HO, used both Ford small block V8s probably only adds further 98-octane to the fire. 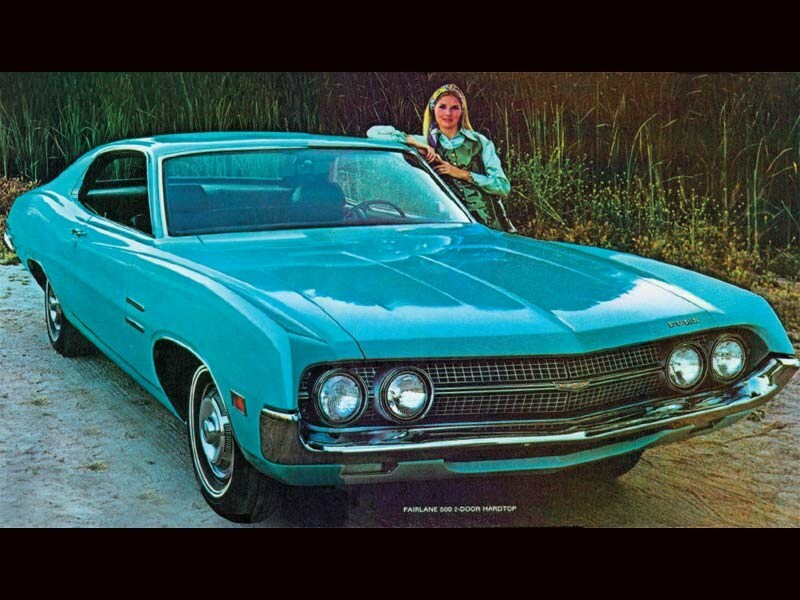 While the Falcon GT started life with a 289 Windsor in the same form as used by the Mustang, it had a 351 4V Cleveland in GT-HO Phase II, III and IV versions. The retrospectively named Phase I is sometimes known as the ‘Windsor HO’ for its engine. Although the Chevy small block came in numerous sizes and states of tune, there were never two remarkably different versions being manufactured simultaneously. It was the same at Ford until 1970 when the 335-series Cleveland small block arrived on the scene and was under the bonnet of the GT-HO that very year in time for a date with Mount Panorama. Ford has a celebrated V8 history dating back to the 221 cubic-inch side-valve unit of 1932. Its capacity was increased to 239ci for 1939. In 1948 a larger 255 cubic-inch engine joined it and both versions were in production until the end of the 1953 season. Lincolns and Ford trucks got a 337 cubic-inch unit that weighed more than 250 kilograms. During 1950 design began on an overhead valve engine, which duly appeared as the 239 cubic-inch Y-block for the ’54 model year. 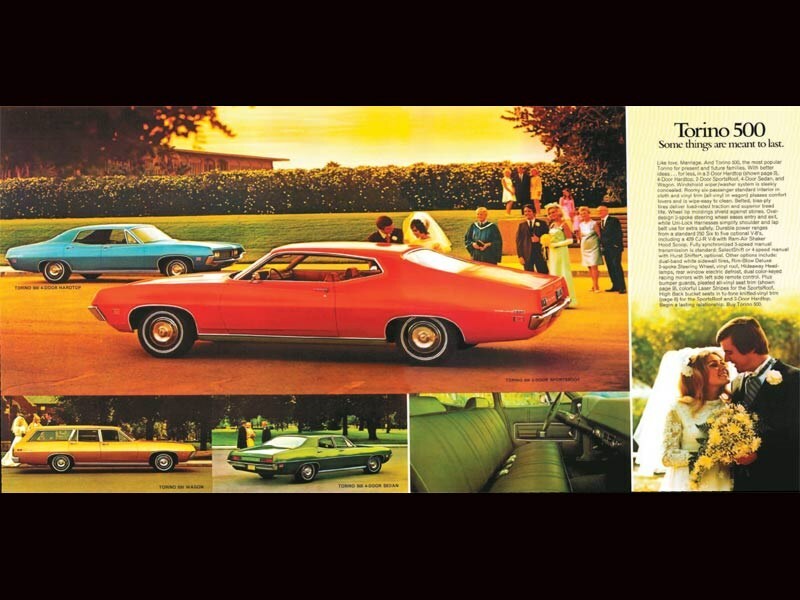 With its 3.5-inch bore and 3.1-inch stroke it was oversquare in what would become the Detroit fashion. Chevrolet’s small block was still two years away. For 1955-58 Fords got the enlarged 272, followed by the 292 for 1959-62. 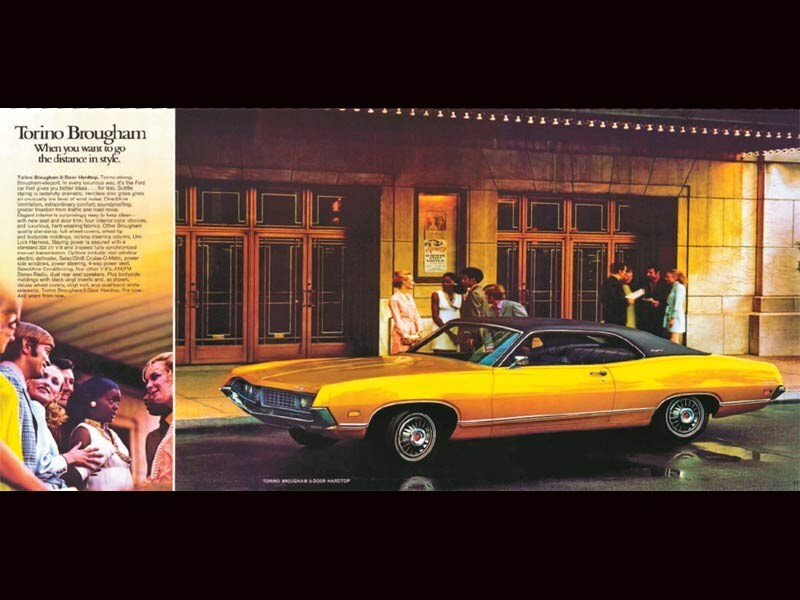 Both engines made their debuts in Mercurys, best thought of as Ford’s rival marque for Pontiac. The ‘small block’/‘big block’ terminology originated at Chevrolet and remains one of the most confused and confusing in the entire automotive lexicon. The term wasn’t in use when the Y-block was introduced. So the first Ford small block was the 1961 221 cubic-inch engine which powered the 1962 ‘Compact’ Fairlane and Mercury Meteor. The engine, too, was compact and highlights of its design were thin-wall castings and wedge combustion chambers. Its dry weight was 210kg, which was regarded as very light. Production began in Ford’s Windsor (Ontario, Canada) engine plant in July, 1961 and later that year one of the two lines at the Cleveland engine plant was also made available for the unit. But the fact that the 221 Windsor was also built in Cleveland didn’t make it a ‘Cleveland’! The Windsor versus Cleveland debate didn’t start until 1969. That is when the 335-Series engine went into production in Cleveland. The ‘335’ refers to the minimum capacity but, as it happened, the smallest capacity engine built there was 351 cubic inches. Meanwhile, the Windsor small block had gone from 221 to 260 and then 289 cubic inches for the 1963 models. Five more years elapsed before it was enlarged again to 302 cubic inches. Internal Ford terminology bracketed all four sizes under the name ‘Fairlane V8’. 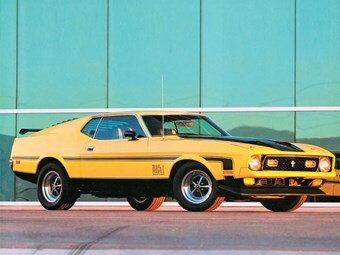 The Boss 302 was developed for model year 1969 with a claimed 290 horsepower and intended for the Boss Mustang. This was also the year of the Windsor 351, developed from the Fairlane V8. Chief Engineer, Bill Gay, who had been an executive engineer at Ford since the early 1960s, was responsible for enlarging the 302 to 351. The project was overseen by Assistant Chief Engineer, George Stirrat, and it took about nine months from September, 1967. By July, 1968 the engine in production at Windsor Engine Plant Number One (WEP1). The 351 Windsor was stroked by half an inch and the deck height was increased by one and a half inches. Interestingly, the WEP1 engineers never described it as a ‘small block’ because it was too wide, too tall and had three-inch diameter main bearings. Over at sales and marketing, the dudes loved it and reckoned supply would never meet demand. Then came the next big step – the 351 was also to be manufactured at the Cleveland Engine Plant Number 2 (CEP2). And, having made that decision, it must have seemed sensible to improve the engine’s specification with the US market in mind. This new, improved 351 was the 335-Series. Bill Gay was in charge of the 335-Series project and work began early in 1968. Gay invited George Stirrat to nominate a third engineer for the initial discussions and he chose Joe Macura. Macura wanted much larger valves for extra power. His idea was to cant the valves and splay the pushrods so that the inlet ports could be widened. But Stirrat himself preferred not to stray too far from the design used on the Windsor 351. The outcome was that each got to design his own cylinder head for comparative evaluation. They were dubbed the 335-S and 335-M.
Stirrat did go for larger valves and inlet ports (than the Windsor engine’s) but saw no need for other changes. Macura used bigger valves again. The extra size combined with the more dramatic configuration in the pursuit of superior volumetric efficiency. Gay was convinced that 335-M would unleash great performance potential for the engine and this design was adopted. He then took over the entire program and many more changes followed. 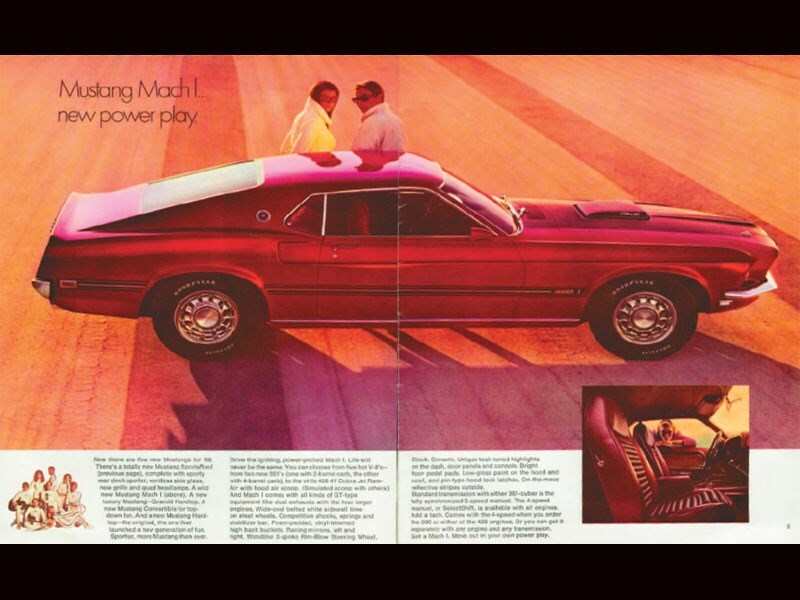 In April, 1968 a new engine was needed to maximise the Mustang’s potential in Trans-Am racing. Bill Gay and his engineers decided to combine the existing Ford Tunnel Port 302 cubic-inch racing engine block with the newly developed Cleveland big port 351 heads. 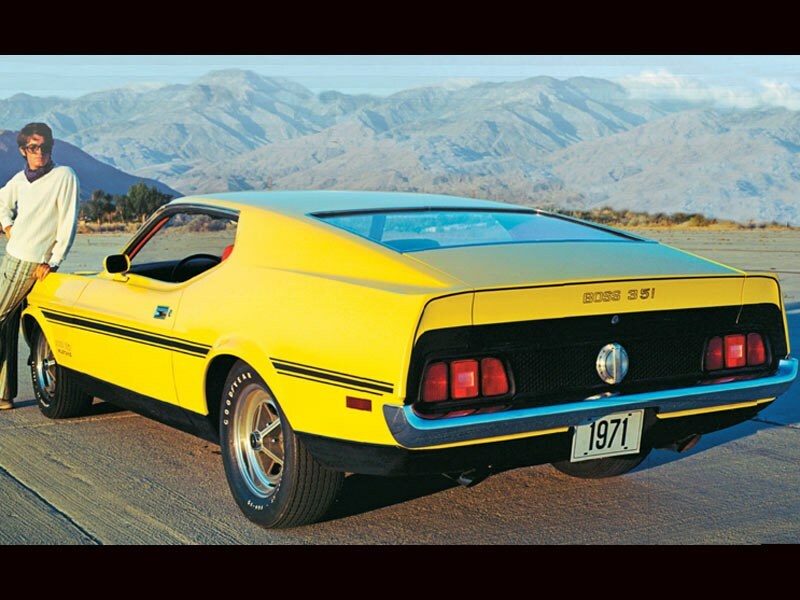 The resultant Boss 302 engines went into production in the Cleveland Engine Plant three months later. Ford’s testing rated the Cleveland’s crankshaft as 130 percent stronger. The blocks were designed to accommodate four-bolt main caps for high performance applications such as the Q-code Cobra Jet 1971-74. Valve cooling was improved. There was a two-piece rear main oil seal. A major criterion was to make the engine easier to assemble. The block was extended to enclose the timing chain instead of housing it under a large cover which had been difficult to seal (oil leaks!) to the block and sump. This section of the block held a simpler design of water pump mounted on a backing plate. Where the Windsor located the thermostat in the intake manifold, the Cleveland housed it in the block. So the later engine did not have coolant running through the manifold. Thus at least two Windsor negatives were solved. There would be fewer oil leaks and less corrosion of the timing cover and the intake manifold. Downsides were that the Cleveland was longer, wider and heavier. It cannot be accommodated in the engine bays of some older classic cars that will happily take the Windsor. 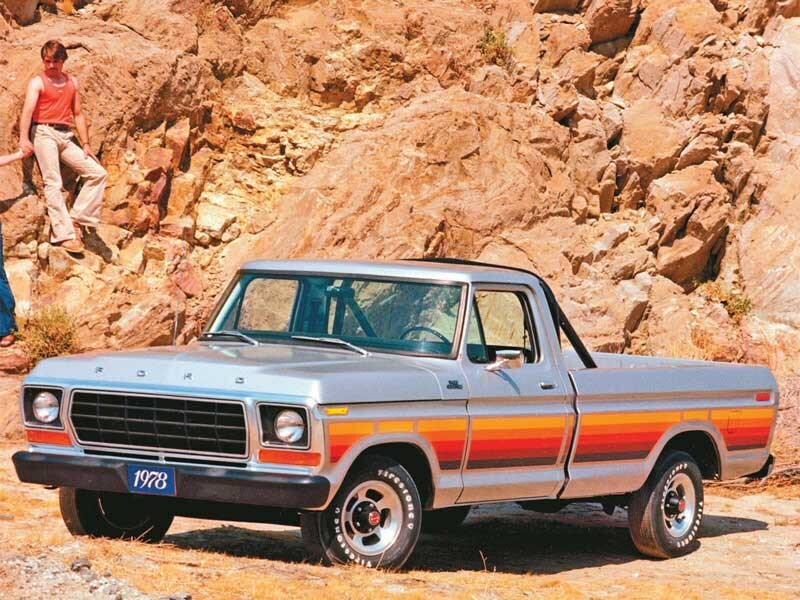 Ford small block guru Mick Webb goes so far as to say that the Cleveland was "always a totally different engine with a heavier block and bigger, bulkier cylinder heads. It’s just a bulkier engine overall." An example he gives is that the valve covers on the Cleveland are six inches wide compared with four for the Windsor. Webb makes the point that in the late 1960s the thinking was that bigger ports were the answer. "Today’s cylinder heads have been developed from those used on the Cleveland 351. They have the canted valves. But they are made of aluminium and the ports are at least 50 percent smaller." There has been plenty of evolution in nearly half a century of cylinder head design. The heads are wider but bore spacing on both 351s is the same and the cylinder head bolts are in the same location. If the cooling channels are modified, the heads are interchangeable. Two versions of the Cleveland 351 were offered, the 2V and 4V, where ‘V’ equals carburettor venturi, i.e. two-barrel and four-barrel. The high performance 4V engine had larger valves and a higher compression ratio. Despite all the engineering effort which went into it, the Cleveland 351 went out of production in the US at the end of the 1974 model year. But the Windsor 351 soldiered on – albeit in much modified form – until the end of 1996. As for the 302, it has a long history in Australia. Perhaps the lowest ebb was reached in the mid-1990s. My EL Falcon XR8 had no performance to speak of and there was bottom-end harshness at just 5000rpm. But back in the XT Falcon GT, or even my old ZB Fairlane, it was a lovely, with great mid-range torque. 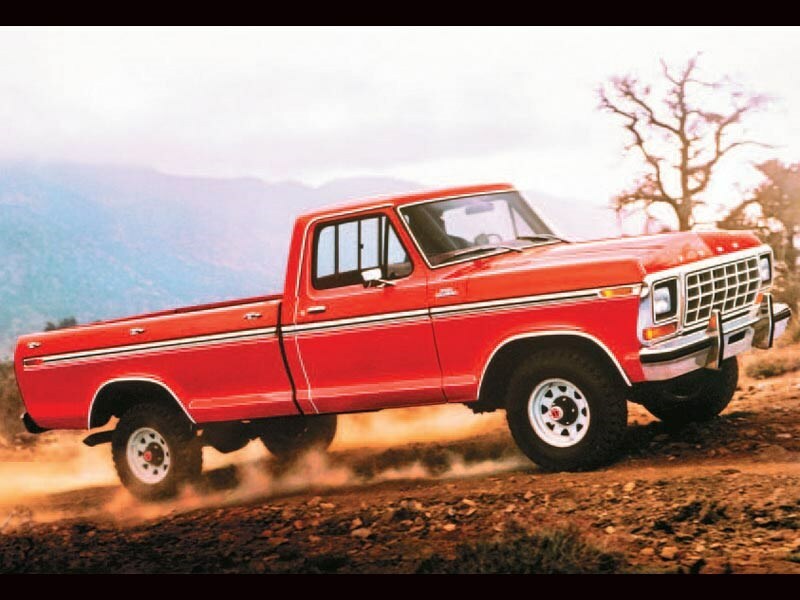 But it is the 351 cubic-inch capacity which has achieved legendary status. So, which is better, Windsor or Cleveland? Mick Webb has a strong leaning to the Windsor but says both engines are "fantastic". "Both have positives and negatives. My personal choice today as a race engine builder is the Windsor, mainly for the lower weight which makes for a better power-to-weight ratio." He points out how important less weight at the front of the car is to handling and overall balance. "In the perfect scenario I’d have Cleveland heads on a Windsor block, which is what exactly Ford itself did in 1969 with the Boss 302 Mustang." The first of Ford’s new generation V8s was the 145hp 221 which was optional in the 1962 Fairlane. 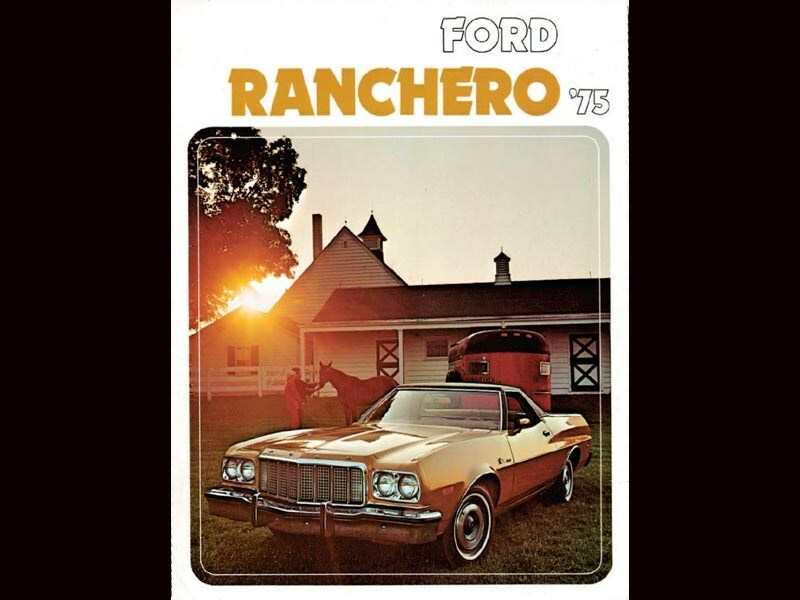 Known within Ford as the ‘Fairlane V8’ it was increased in size to 260ci within the model year. Maximum power was 164hp, a figure barely imaginable in the Australian context of the 75hp Holden EJ Premier! One of Ford’s most dramatic 1963 models was the Falcon Sprint with the 260ci V8 and coming dreams of Monte Carlo. Season 1965 brought the Mustang with no fewer than four versions of the 289 on the options list, the most powerful being the K-code 271hp unit (teamed with a Special Handling Package – stiffer springs and dampers, front anti-roll bar). 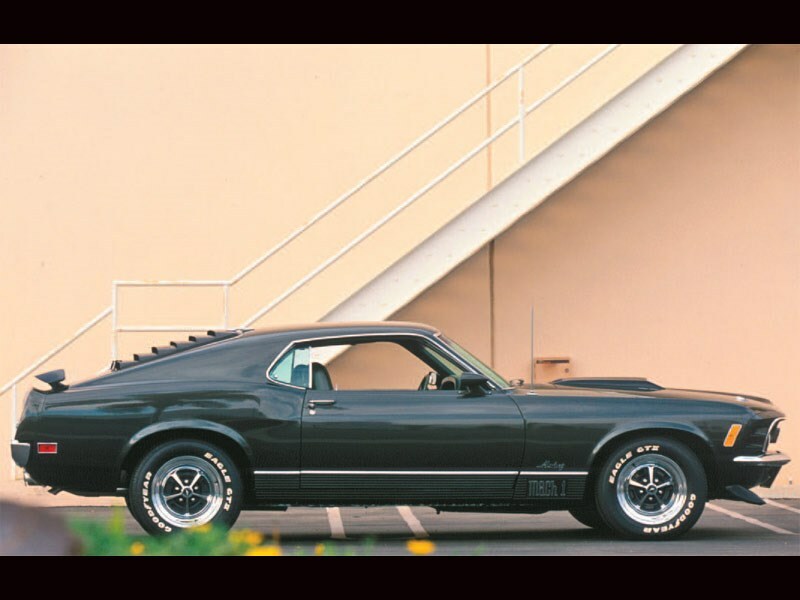 The 1969 Mustang Boss 302 (code G) had 290hp and, blessedly, front disc brakes. But how about 375hp from the Code Z big block 429? The 351 arrived in 1969. Mustang customers could choose between the 250hp 2V and the 290bhp 4V. Then, in 1970, came the Clevo! Mustangs were available with the 2V Windsor, 2V Cleveland or 4V Cleveland. The 4V Windsor was dropped in favour of the new Cleveland big-valve head engine, rated at 300bhp. The following year saw the debut of the Boss 351 in the Mustang with 330hp. Windsor 351s were off the menu. 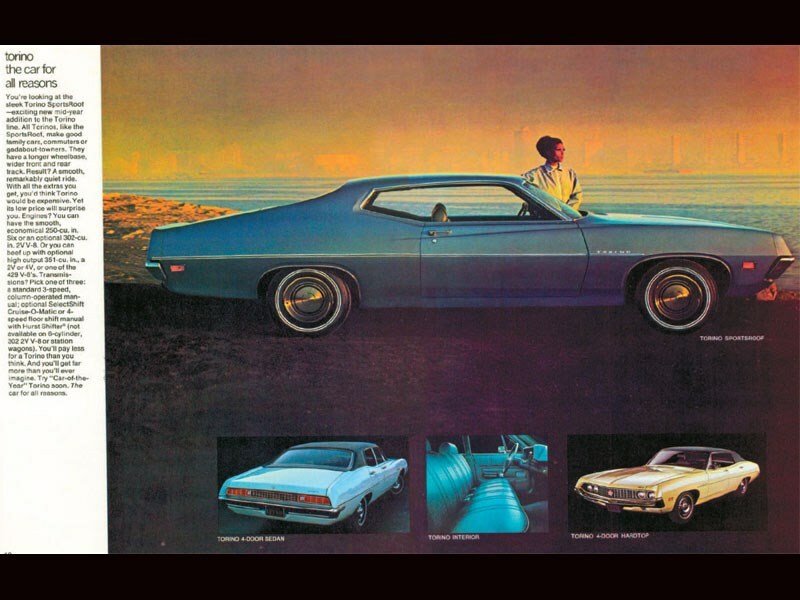 By 1970, the 351 V8 was available in many Ford models including Galaxies. And the whole exercise began with a new 221 cubic-inch for the ‘Compact’ Fairlane of 1962!